SouledOut's Meditation Focus theme for the spiritual year continues, rounding the zodiacal months based on the Lighted Way theme as the context for our meditations, from new moon to new moon. For nearly five years beginning with Aries 2013, our monthly meditation focus has been to deepen our work with this overall focus, to assist in bringing to fruition Cosmic Freedom Inaugurates Planetary Liberation. Throughout the current lunar cycle surrounding the full moon during Aquarius, we ask all in our subjective group, according to your inspiration, to utilize the materials presented here as seeds for the daily meditation ritual. Following the cycle's new moon, we begin on Wednesday, January 17 to focus on WeCycle Wisdom our monthly alignment around the full moon festival during Capricorn. As Light workers, we now consciously realign with the Divine Plan ~ the unfolding Purpose of the One Life. Through embodiment of the Principle of Decision, we then become steadier in our service expression. As each individual takes responsibility for applying their highest alignment to Purpose, one's life becomes the Path, itself. This is an outgrowth of the ongoing sacrifice we make in service to the One Life. In this light we are reminded that "... synthesis is, whilst unity is achieved and is the reward of action and effort." (1) As we work with the great Principle of Unanimity, balance occurs in all realms including for the individual, the situation at hand, and the greater group life itself. Through our focus in the arenas of manifestation, the Christ consciousness will emerge fully into humankind's common experience, as is held in anticipation of the Coming One ~ known in world religions by names including Lord Maitreya, Imam Mahdi, Messiah and Kalki Avatar. The Aquarian energy is the Living Water of Life, flowing from the very throne of Heaven. The Piscean World Saviour, the Christ, repeatedly demonstrated this revelation in his service ~ in the miracle of walking on the water, in offering the Water of Life to the to the Samaritan woman, and in washing of his disciples feet in the upper room. 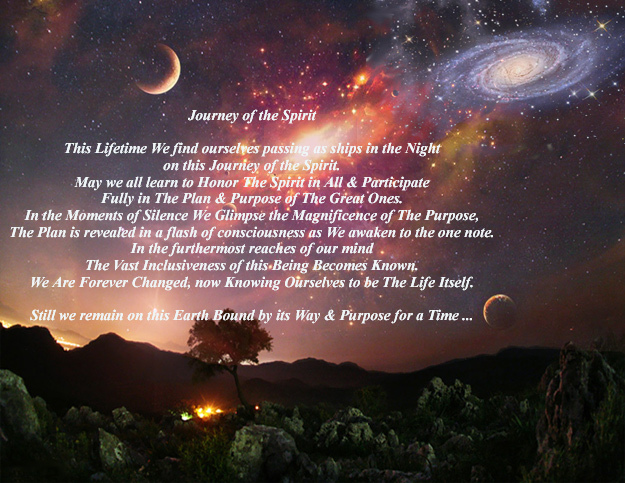 The March equinox in 2018 inaugurated our journey for the spiritual year, as we share now in yet a higher alignment to Purpose for our service for the annual cycle. The revealed quality of Synthesis relates largely to the Life aspect, that which enlivens all forms. To reiterate ~ synthesis is. (6) This is so, according to the Essential Divinity of all life. Recognizing this truth, we are called to surrender ~ to be the Divine Path through the sacrifice of all that is extraneous. As we move once again through the sign Aquarius and align in group formation, our identification is with the Divine. An air sign, Aquarius is appropriate for connecting to our groups by way of the mental plane. Group alignment and world service are accentuated as we both move through this eleventh lunar cycle of the spiritual year, having commenced in Aries. The energies of the Lighted Way are made manifest through conscious cooperation with the 12 full moon meditation cycles related to the 12 signs, on a yearly basis. These energies are also pouring into our consciousness as the Earth's north pole proceeds, due to our planet's tilt, through the zodiac as well. The resulting 2300-year cycles are known as the ages, and we are entering into the Age of Aquarius. Hallmarks of Aquarius include sharing in group endeavor, in sacrifice and service to the One Life. This cycle we may consider our commitment to the various groups we are involved in ~ family, work, community, spiritual ~ and notice where our service has adjusted, or may need some adjustment to be aligned in present time. Invoking the Spiritual Significance of those events that challenge and initiate crisis in our Life offers opportunity for enlightenment. When we know that All is energy, we take responsibility for grounding our own energy and fully honor the choices we make. One causes one's own suffering by how one handles an event ~ react and blame, or accept the experience as an opportunity to demonstrate compassion and balance to all, including oneself, in the midst of adversity. "Know Thyself." In this we open the door to being Wiser about our significant and everyday choices of engagement, and future alignments this Lifetime. Things can always be replaced, while Loving Relationships are Sacred, Golden Gifts of The Heart & Soul in Life, to be Cherished ... for once lost, these are irreplaceable. One never fully knows when this may occur, in alignment with the Soul's Plan & Purpose. In Present Time, may we Honor and Embrace the sacred gifts of loving relationship we have found this Lifetime. Peace begins inside, from this Truth we cannot hide! If at all possible, we suggest being in meditation at the exact time of the full moon, however if you are unable to do so, choose a time within 12 hours before or after to participate in this global meditation. Know that we at SouledOut.org will also participate in this planetary meditation. feel free to utilize at any time you're impressed to, during the monthly cycle. We link up with people of goodwill everywhere, creating a united group channel through which the spiritual forces can become available. Affirming this channel, "We stand poised, united as one soul with our Spiritual Hierarchy." We hold the focus. 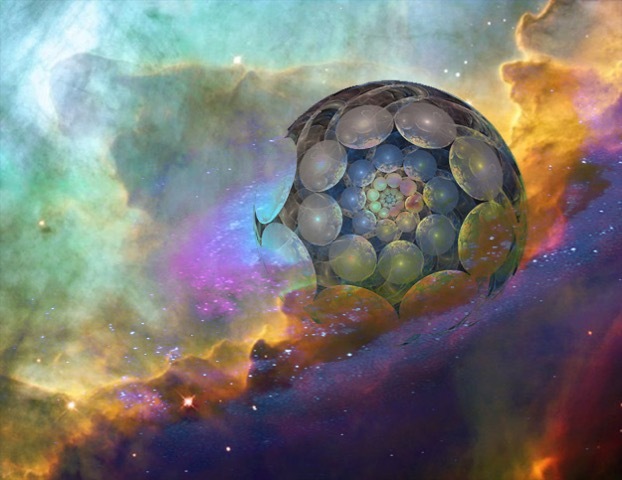 We now visualize ourselves as the Chalice ~ the grid of light all over the earth that connects the light of every Light worker and each sacred energy vortex. This network serves as a conduit through which the heavenly blessings may flow through each and every one of us and to the planet Earth. We rise as one to meet the light. In response, the great gateway that is Aquarius opens wide and the light pours into and through us. We welcome this river of light and its cleansing and healing energy, for it illumines any darkness within. The Aquarian energy is the Living Water of Life flowing from the very throne of Heaven. We invoke the example of Christ, the World Saviour, who demonstrated this revelation through the miracle of walking on the water, and offering the Water of Life to all of Humanity. Each, in our own way, is asked to bring this Life Spring into our own lives to move from personal consciousness to group consciousness ~ opening to the Love and Service of all Humanity. We, united as World Servers, are further transformed by the Waters of Life Divinity shares. We shine Light upon the seeming chaos and disturbances in our world. We know the Spirit of Humanity to be sound and true. We're willing to move from the mountaintop back into the valley of experience to serve ~ no judgment, no separateness, no envy, no anger ~ for all we see is Unity. Here now, we align with our Spiritual Kingdom to receive the incoming Divine energies. We are preparing the way for an extraordinary happening ~ the World Saviour emerges again. We drink from the Communal Well and we offer ourselves as fountains of Truth. And in this, we take yet another step toward Our Divine Destiny. We Share, and in Divinity, we Merge. The Transition of Ages ~ Pisces to Aquarius In the Aquarian Age we become the Risen Christ ~ the World Server ~ the "Water Carrier" pouring forth the water of life for a thirsty world ~ thirsty for the Truth, for the Life more abundant. The Third Great Approach Cosmic Identification is an expression of this definitive event, taking place in present time. Avatars The Doctrine of the Coming One is linked to the teaching of every great religion, and at the close of this age a Cosmic Avatar is impressing to appear as a Divine Embodiment. Yoga of Synthesis As we focus on the Oneness of all Life, we are able to express the self in light of the larger perspective and thereby assist in bringing through the Divine Plan and Purpose. Service Is Its Own Reward Service ~ a distinguishing characteristic of the New Group of World Servers ~ is associated with Aquarius. Aquarius Zodiacal Deity The constellation Aquarius is one of supreme importance to our solar system at this time, for it is the sign into which our sun is rapidly moving. Aquarian illumination comes in the form of realizing humanity’s essential unity and recognizing the processes of sharing and cooperation to assist all of humankind. Aquarius Labor of Hercules Hercules's labor in Aquarius was to cleanse the Augean stables. Through this endeavor Hercules, representing the disciple, pledged himself to Unselfish Service, Group Work, and Self Sacrifice ~ all of which are hallmarks of Aquarian energies. The Night Sky During each lunar cycle the Moon, waxing and waning, journeys through the zodiac. It partners with and enlivens the sparkling stars and glowing planets along the way. As the Moon grows in the light provided by our Sun, we too grow in the light of our Soul. Moon Phases. Solar eclipses ... are about shifting octaves in the nature of our self-perception and self-expression. Lunar eclipses tend to be more palpable ... about releasing emotional bonds ... that are less than we truly want or deserve ... " - Nick Fiorenza gives insights to this lunar cycle, which begins January 5, 5:28 pm PST and ends February 4, 1:04 pm PST. stars can aid in the service of those who are spiritually attuned. The three belt stars of Orion represent the Three Wise Men. Sirius and Betelgeuse, aid the spiritually attuned. Two of them are children's birthday stars! your Divine expression on Earth. Additional Links These related links may be of assistance in your Aquarius meditation focus. We at SouledOut.org will participate in this global meditation at the Aquarius full moon festival. We also encourage utilizing SouledOut.org's Global Meditation in group formation at the exact time of the full moon, and as individuals, whenever possible during this festival's safeguarding cycle. We now continue to hold the high space throughout this most auspicious day of the full moon, an important time to still the mind and maintain inner peace, a time of spiritual retreat and contact. If you wish, feel free to continue use of this meditation for the entire month of Aquarius. From new moon to new moon, Sunday, January 6 through Monday, February 4, 2019. Principle of Unanimity In the ongoing life of the Soul there comes a time when the unity and essential oneness underlying the dualities of physical plane life can be recognized and shared. The quality of this essential oneness has been termed "Unanimity." Fixed Cross The Fixed Cross is a "fusion of four major energies, pouring into our solar system, on to our planet and through humanity." (13) Aquarius is intricately linked to its position on the Fixed Cross, the cross of discipleship, named esoterically the Cross of Transmutation. 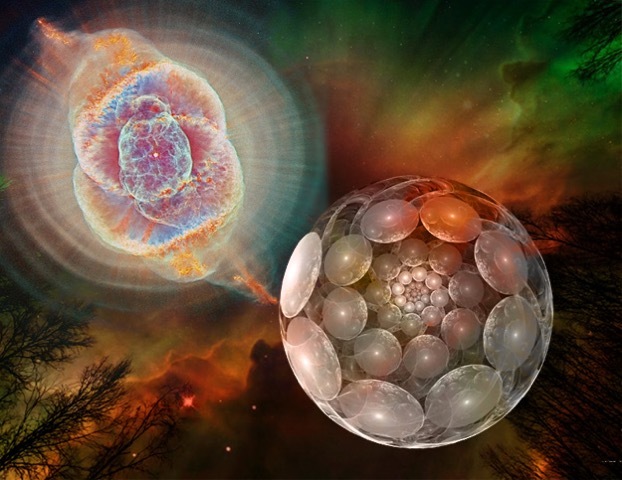 One with The Divine When the Planetary Logos connects with the Solar Logos, Shamballa ~ or the Will of God ~ is their point of union. (14) We are called to connect there with Them, and in this way to embrace the Plan of Love and Light. The Lighted Way Study of the 12 different lights for each of the constellations of the zodiac reveals the symbolic story of the growth of the light body within the Soul of Humanity (the Macrocosm) and within each of us (the Microcosm), and will finally make clear the very purpose of God. Freedom and the Initiations In our evolution humanity embraces ever more fully the concept and the quality of freedom, as we become soul-infused and eventually liberated from the restrictions of physical plane existence. Aquarian Light Impressions An Aquarian vision of humanity rising in the new dawn, as well as email responses to previous Aquarian Lighted Way meditations. The Lunar Messenger, Aquarius Full Moon (PDF) Circle of Goodwill's commentary for Aquarius, "Vistas of Wisdom 74: Mystic and Occultist"